At the beginning of this month, we went on the road trip we had been dreaming of for years. When Mike and I got married, we were planning to spend our honeymoon driving from Vancouver, Canada to Baja, Mexico. 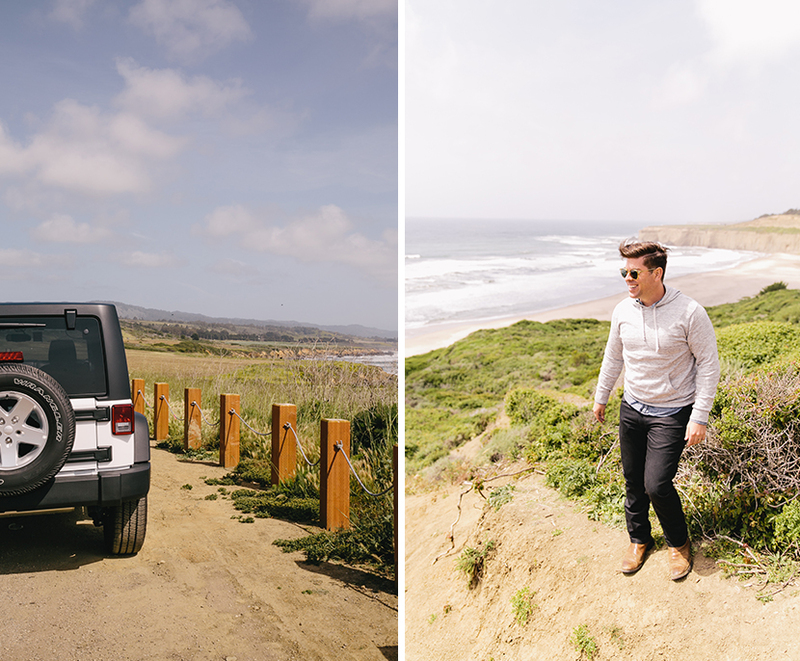 We wanted to drive the length of the west coast and see everything along the way. As many wedding plans go, we got tight on time and money, and instead opted for an all-inclusive experience in Jamaica. 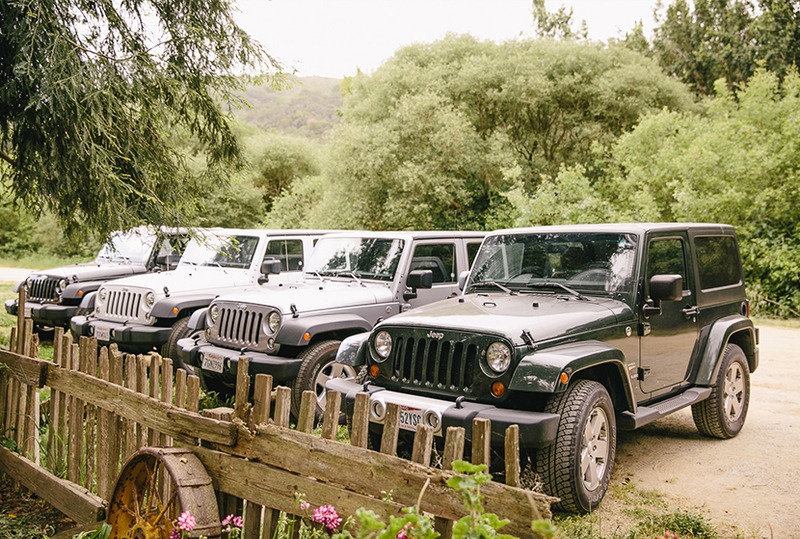 We don’t regret our honeymoon, but our desire to drive the west coast has only grown stronger. 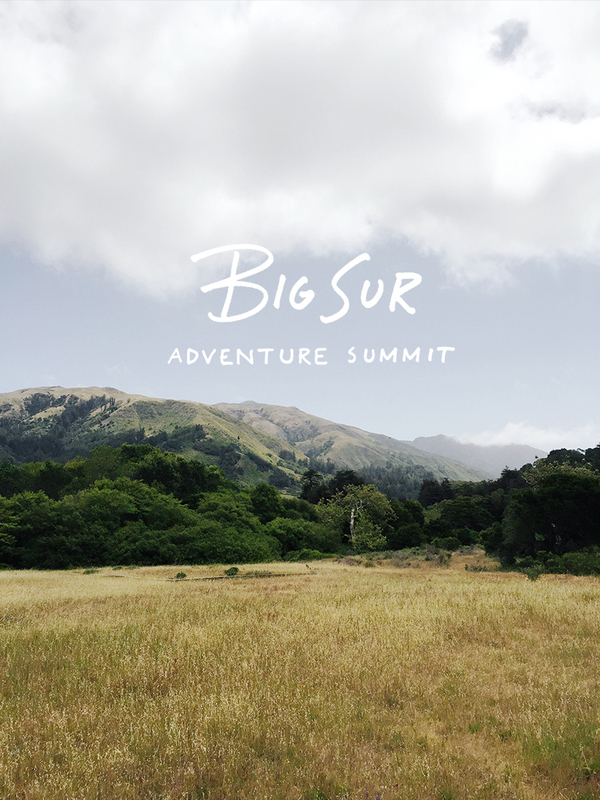 So when Bota Box invited us to join them at their Adventure Summit in Big Sur, we were beyond excited. We began our trip in San Francisco, a day in advance. We spent one night there with our friend, Helena Price and were on the road by midday the next day. 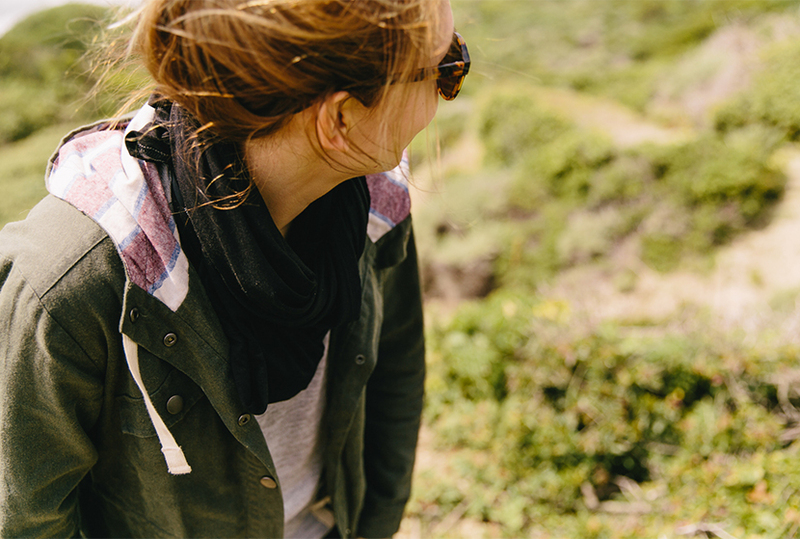 With Helena as our guide for 24 hours in SF, we quickly fell in love with that city. Obviously, 24 hours isn’t enough time to fully experience a great city like San Francisco, but we did see the Golden Gate Bridge at sunset and go to the Ferry Building Market. We were a bit sad to leave the city. 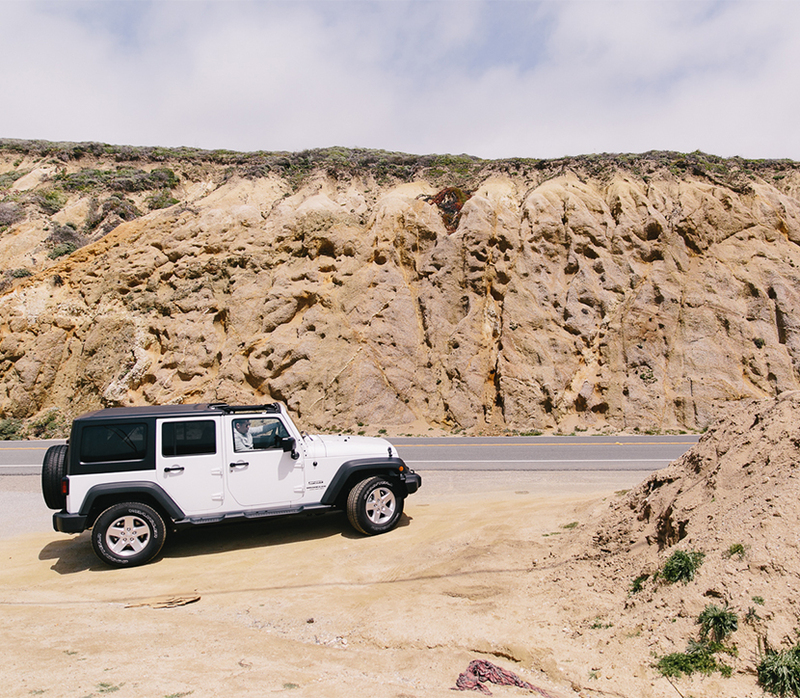 As soon as we picked up our Jeep, our feelings changed. 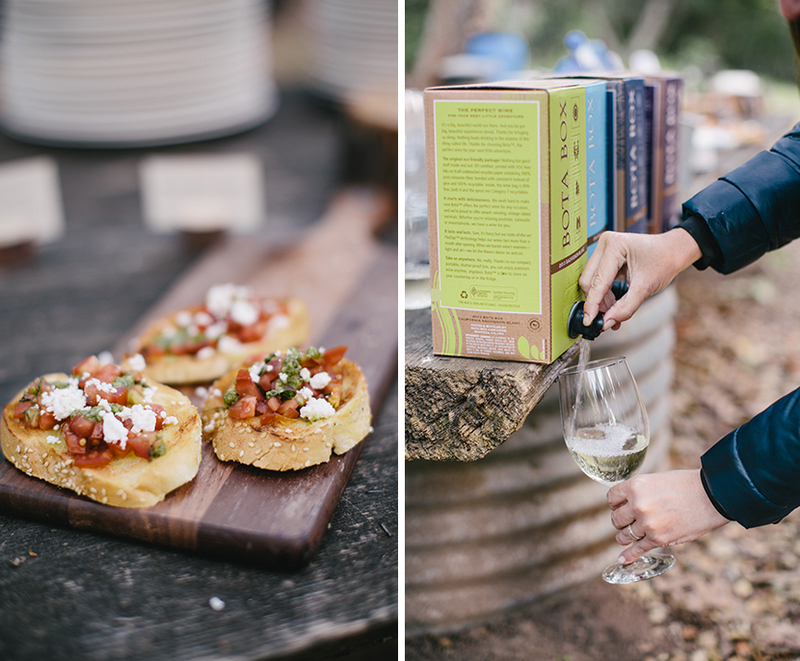 We saw the adventure map Bota Box had put together for us (plus the wine packed away in the back of the Jeep), and we were ready for our adventure in Big Sur. 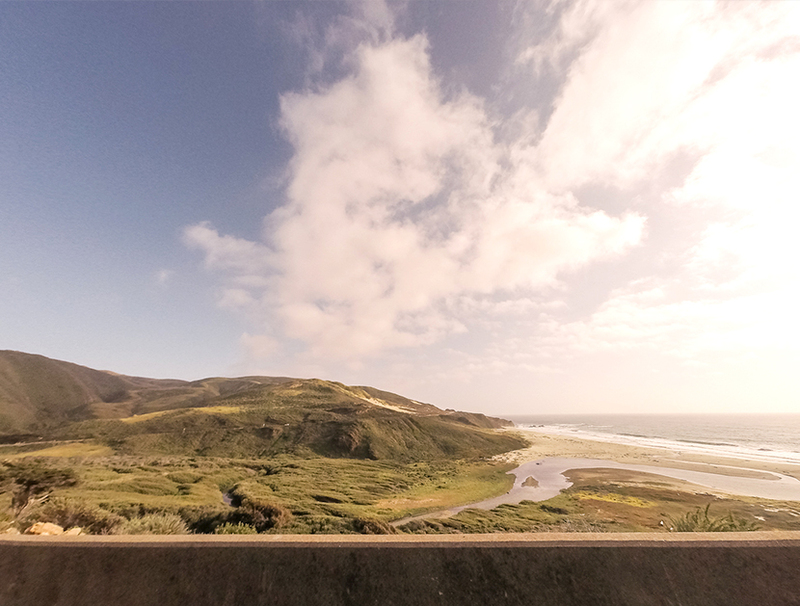 On our way south from SF, we decided to take the scenic Highway 1 drive along the ocean. We wanted to soak in as much as we could along the way. 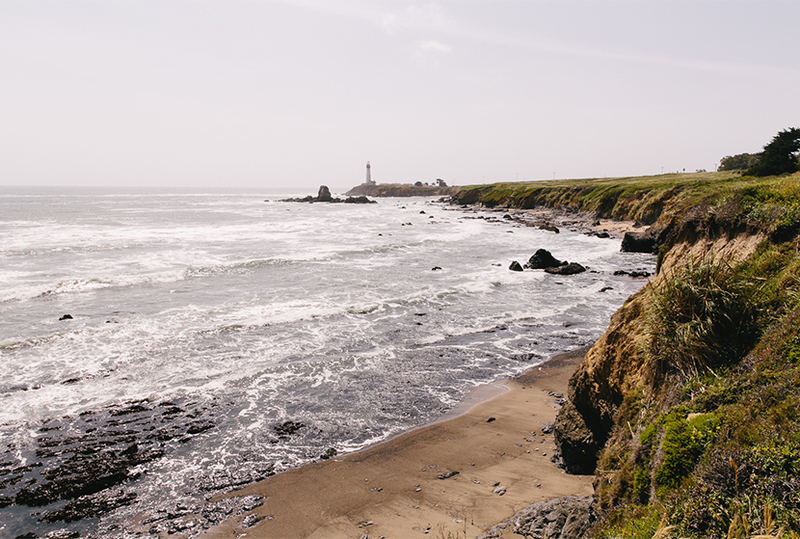 Almost immediately, the coast took our hearts. 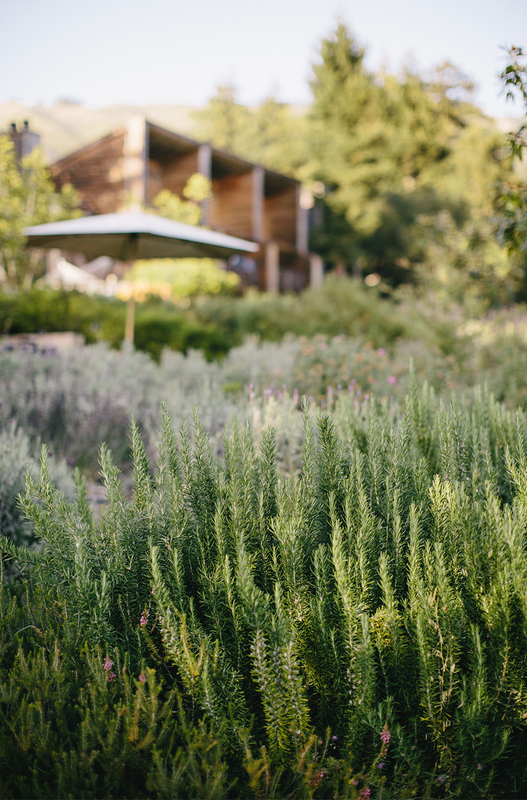 The rolling hills, the golden grasses along the tops of the cliffs that overlook the turquoise water, and the smell of eucalyptus in the air. 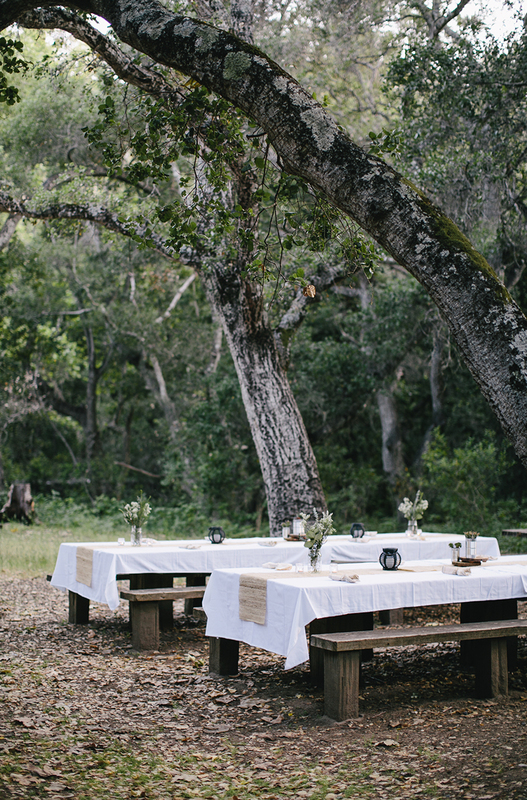 It was everything you would expect from Big Sur and far more. As we drove south, we passed a lighthouse just north of Monterey and pulled off the road to stop and listen to the ocean roar below us. 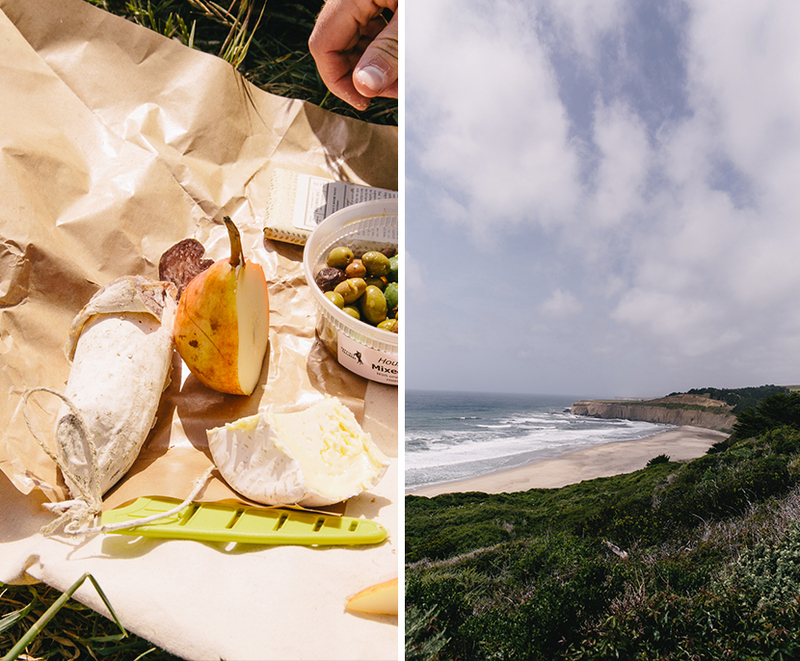 We ate a lunch of fresh baguette and enjoyed some cheese and olives we had picked up in SF. It was an amazing way to start our journey for the next five days. 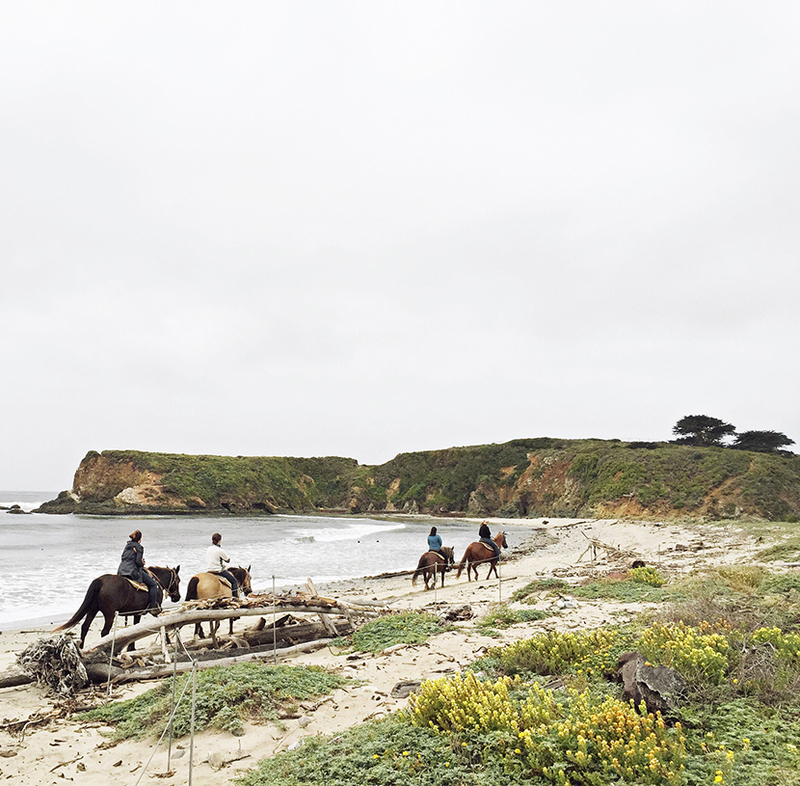 The further south we drove down Highway 1 the more we fell in love. We kept saying, “This is better than I ever expected! Why don’t people make a bigger deal out of this! Why am I just now seeing this!”. We felt this was the appropriate reaction to seeing Big Sur for the first time. We were pretty blown away by the layers of water, cliffs, and hills all around us. 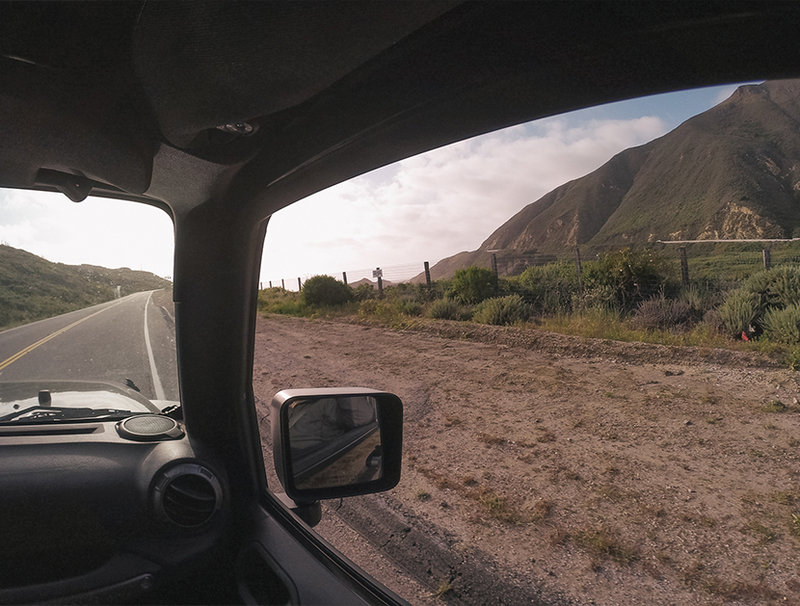 Before we left SF, we made the decision to take the front top off the Jeep to feel the open air. In hindsight, it was probably way too cold, but it was the most refreshing, crisp, clean, and earthy air I could have imagined. 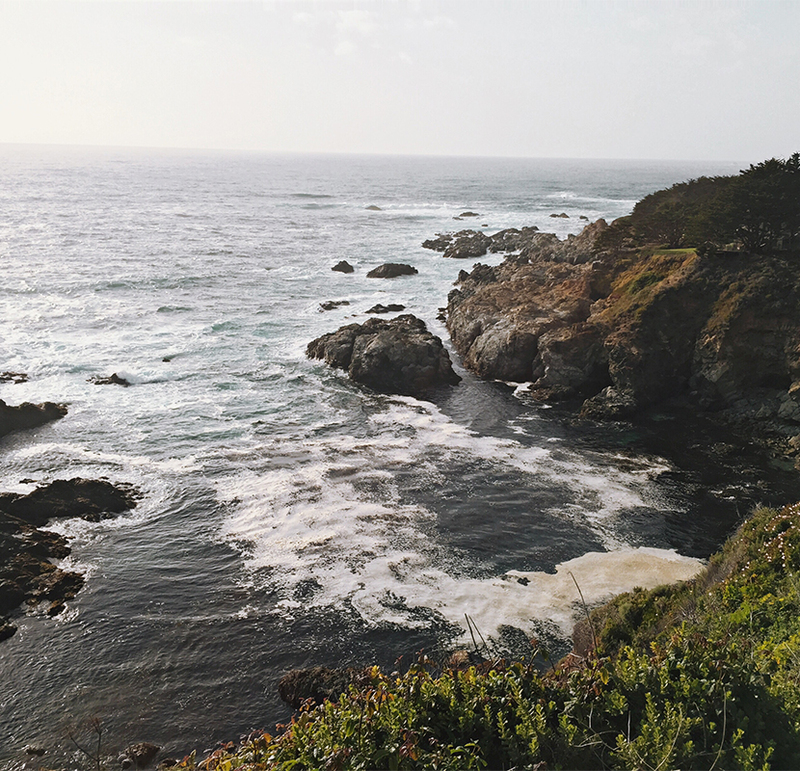 Once we were south of Carmel, we saw the real jewels of Big Sur. There were hundreds of cliffs that lifted above the water, and above the road. It seemed like every turn was more beautiful than the last. All along the way there were surf campers, jeeps, and VW vans. It was both 100% what you would expect to see and surreal all at the same time. 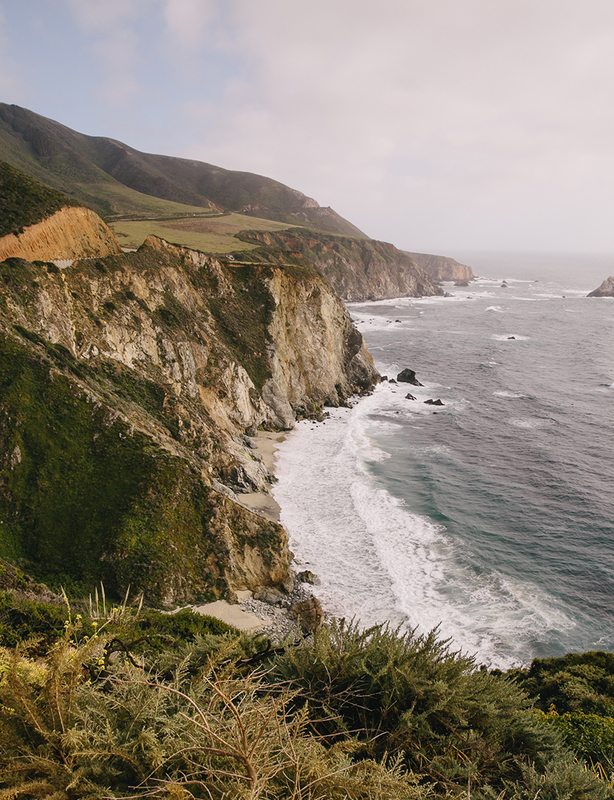 We tend to have high expectations for cities or places and are not often caught off guard, but Big Sur honestly blew us away. We knew it was beautiful, but not like this. Just as we thought our drive couldn’t be any more beautiful, we drove through the first patch of Redwoods. Mike nor I had ever seen anything like them before. Soon after we arrived at Ventana where we would stay the next few days. As we checked in, we stood by an open fire and began to take in the scenery and smells of the area. I think we could have spent all night by that fire looking off into the Pacific Ocean. However, we were a little late to the dinner with Bota Box and had not had a glass of wine all day, which we were about to fix. 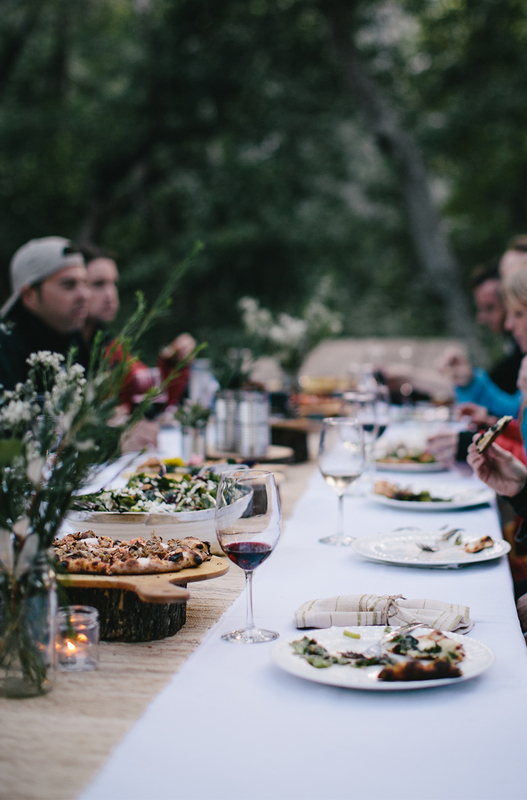 As we left the open fire and walked through the gardens, we were amazed to find a beautiful dinner on the patio of Ventana’s restaurant. 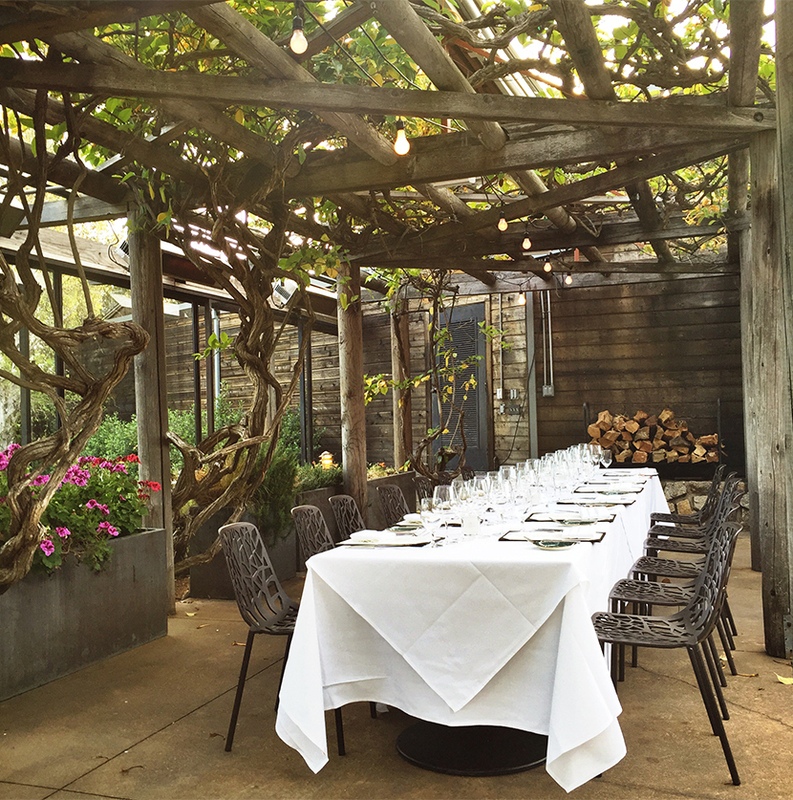 Bota Box had created a beautiful tablescape under a vine covered pergola with fireplaces and bistro lights. It was like a simple evening I didn’t have to plan! It was unbelievable. It was so much fun to meet the other influencers and bloggers who were coming on all the adventures with us and Bota Box. We were in good company with the Vaga Brothers, Art of Bryce, Gimme Some Oven, and Hither and Tither. We would all be adventuring together the next 48 hours with Bota, and we were excited to share the experience with all of them. 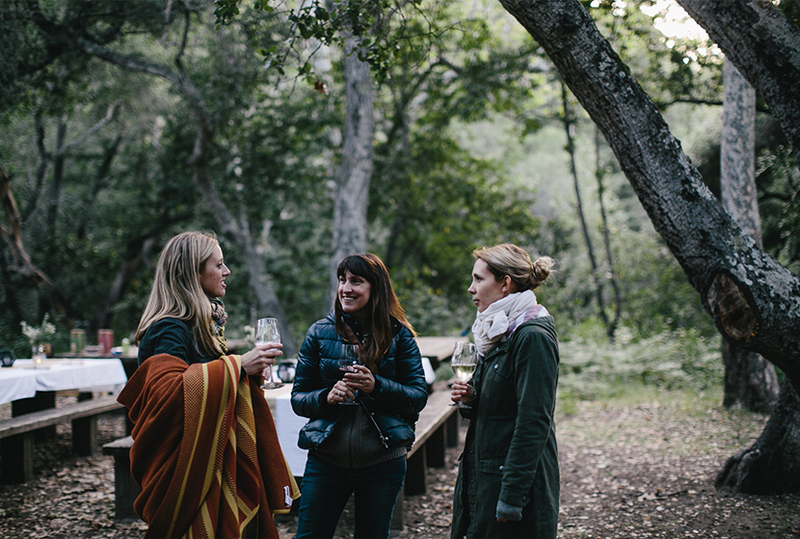 We spent the evening getting to know each other, talking wine, and hearing some amazing travel stories. It was a diverse group, but adventure was the common language in everyone’s lives. The next morning we woke bright and early, which for us was easy being on east coast time on the west coast, and hit the trail. We hiked from our secluded room on a path, through the woods to breakfast. The chilly ocean air lingered in the forest that morning and seemed to be one of those mornings that made a cup of coffee that much better. 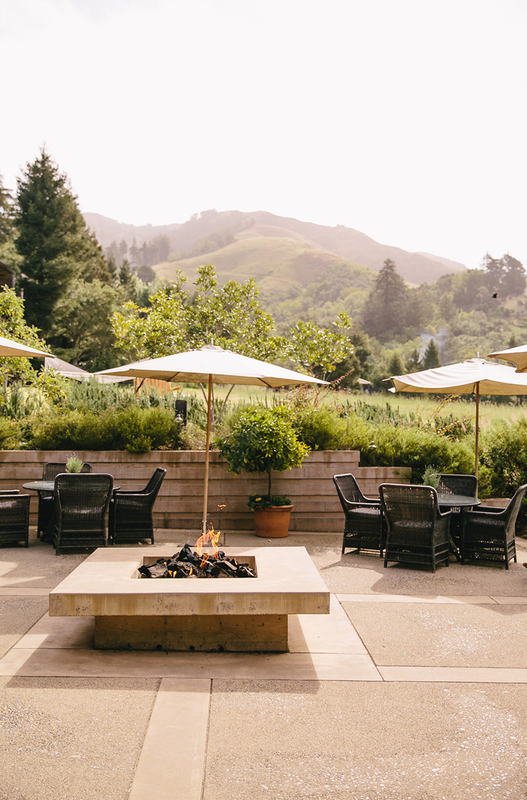 After breakfast, we began our day of Bota adventures around Big Sur. We didn’t know what “adventures” actually meant to Bota Box and were really surprised when we saw the list for the day. 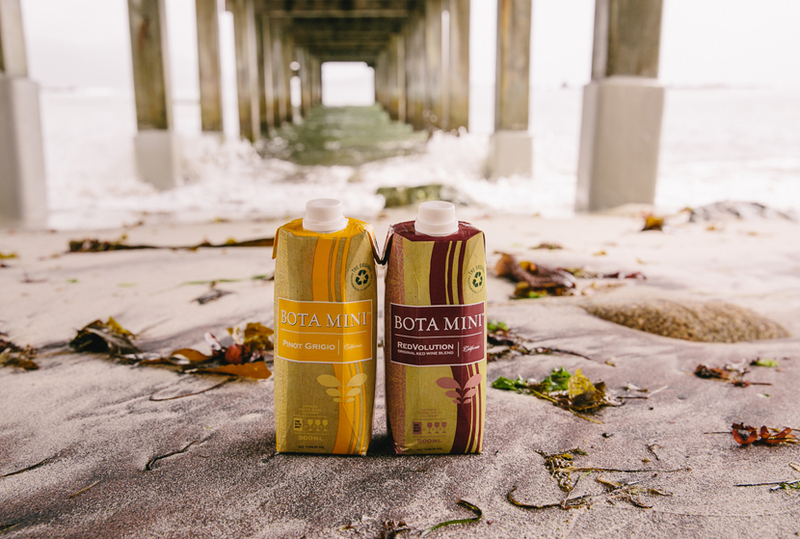 We all know Bota Box is super eco, with their packaging and practices, but we weren’t sure how adventurous they really were. I think we were fully expecting a day of vineyard tours and “adventurous wine and cheese pairings”. Nope, Bota Box really means it when they say they are all about adventure and enjoying the wine along the way. 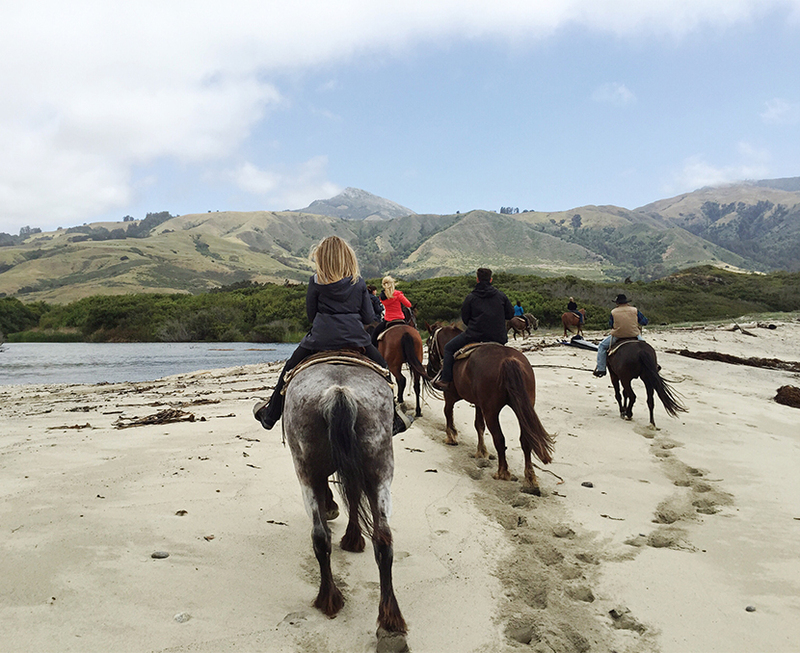 Our first stop on our day of adventure was a horseback ride through the meadows, across a stream and along the coast. I want you to know, Mike and I have VERY different skill levels when it comes to horses. Mike’s grandfather was a full on cowboy by the age of 9, the Gilger name has a cattle brand, and he worked on a ranch in Colorado for four months. As for me, anytime I go close to a horse I am routinely bit, bucked, or stomped on. 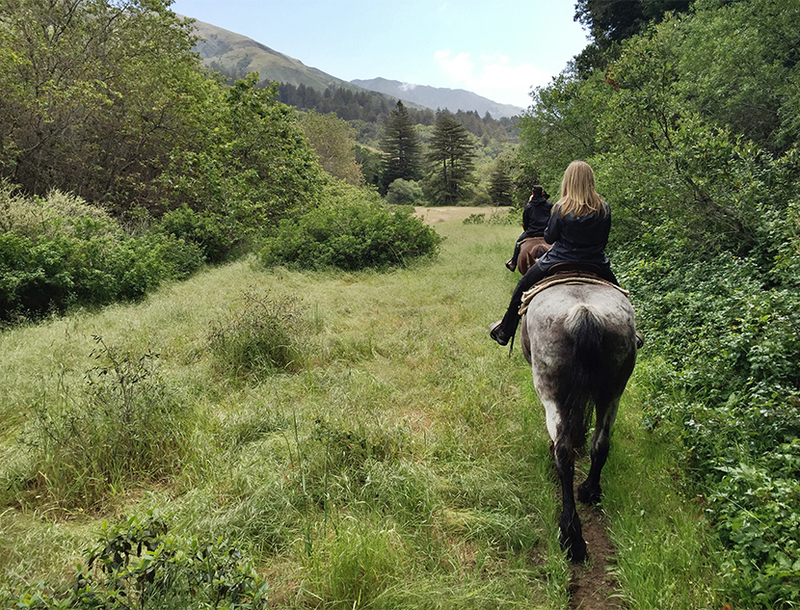 So to begin the day on a horse was quite the adventure for me. Thankfully, I had a sweet horse, and we became quick friends. I held up the rear of the caravan and truly enjoyed every second of riding that morning. It was chilly, but being toward the back of the line left me time to be alone in the quiet to take in our first morning in Big Sur. 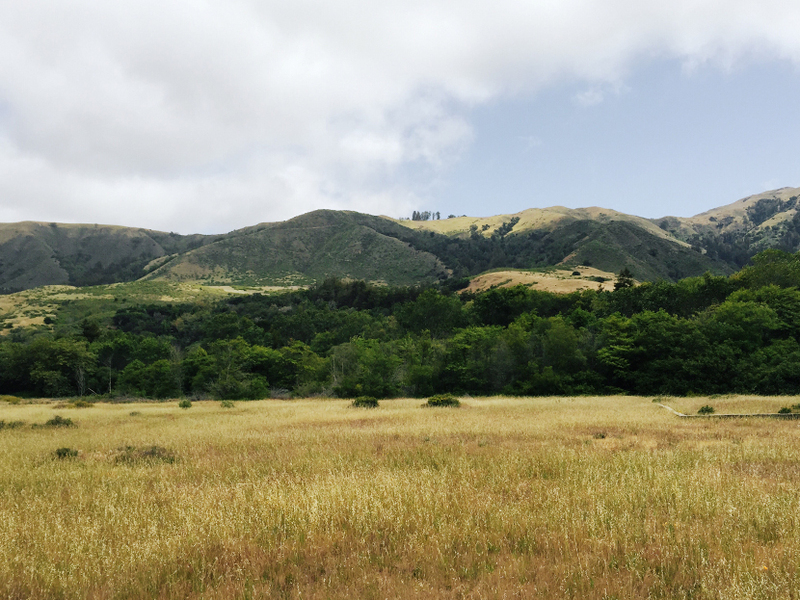 As we began to move down the trail, we were able to see areas of Big Sur that were hidden from the road. I was taken with the colors and textures as we waded through rivers, walked through fields with the backdrop of mountains and made our way to a beach with surfers catching waves. The layers of golden hues, greens, and blues were amazing. 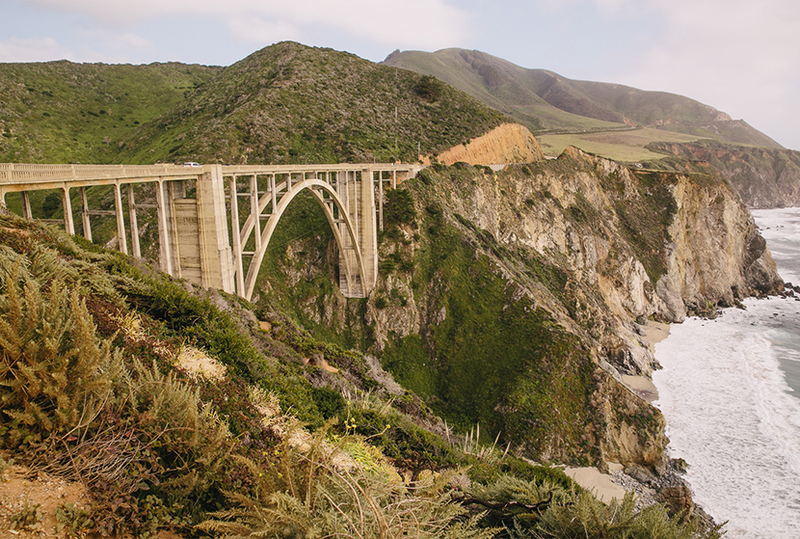 Many people come to Big Sur to see the coast (that’s all I thought was worth the drive), but truly the land between the water and the mountains may be just as enchanting. As we wandered onto the beach, I was pretty blown away. 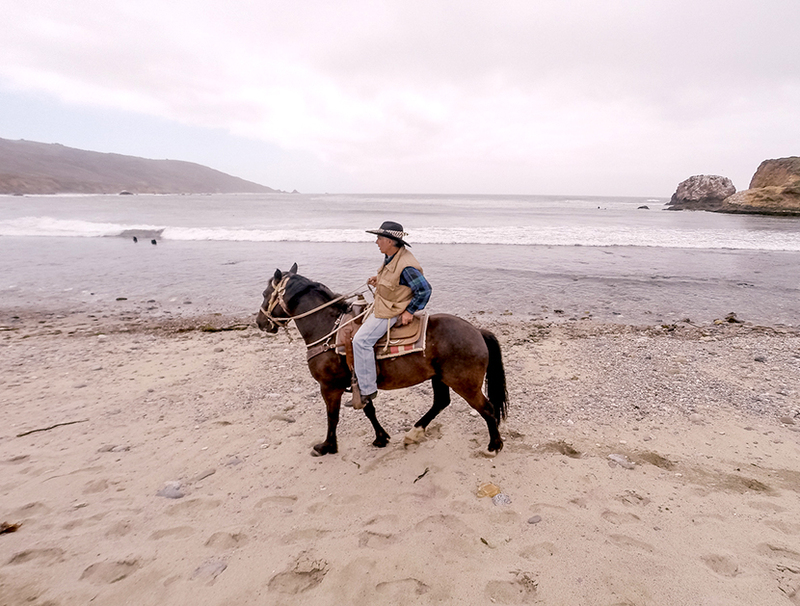 I had always thought riding a horse on the beach was just one of those things that would be pretty cool, so to wander the beach on a horse, but in Big Sur on a beach like this one? It was a pretty amazing experience. 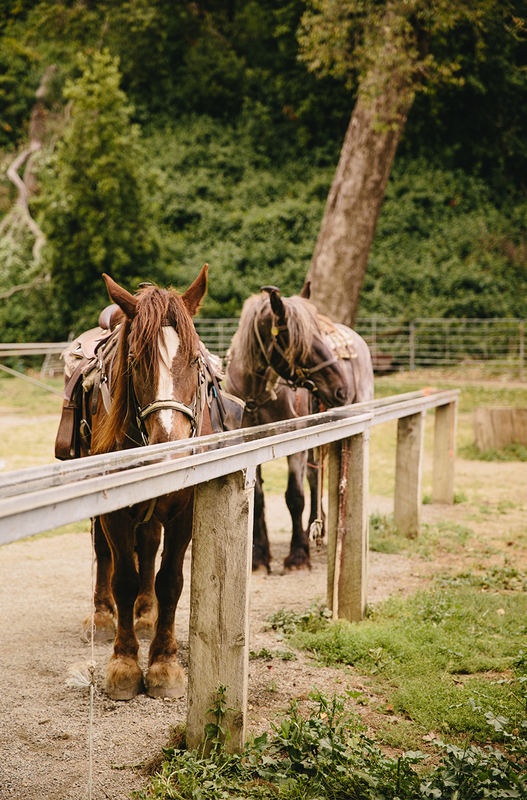 As we reached the end of the beach we turned the horses and made our way back to the stables. 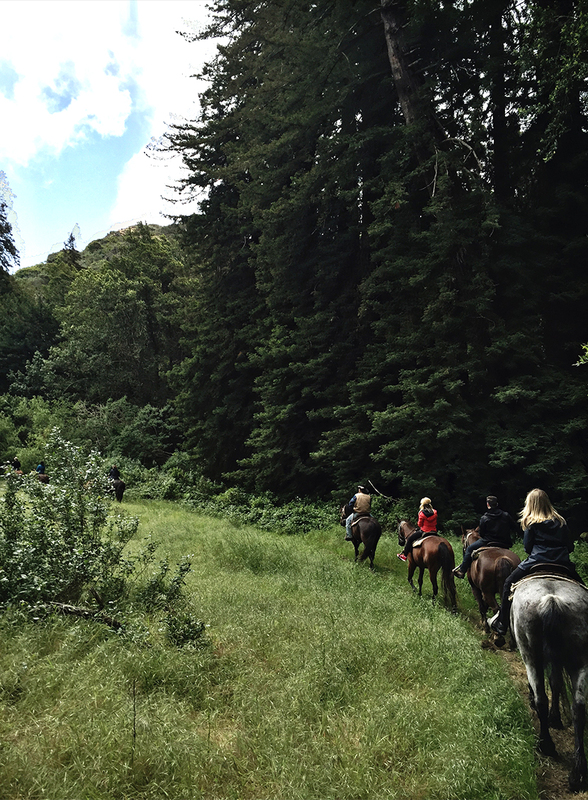 As we wandered back through the trails, one of the guides told us some possibly exaggerated stories of his years riding horses in Big Sur. 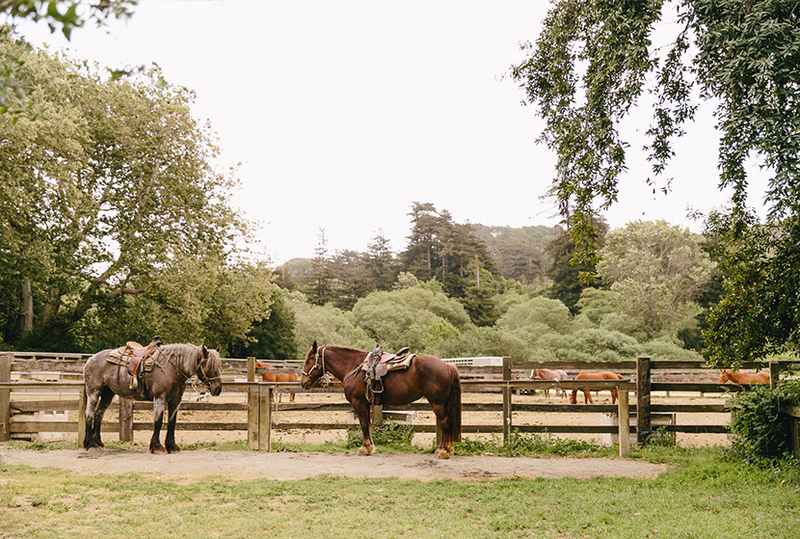 Supposedly he gave riding lessons to Mick Jaggar, and he was quite the rider… We still aren’t sure if that story, or the twenty other stories just as crazy, were true, but it made for some great stories at lunch. 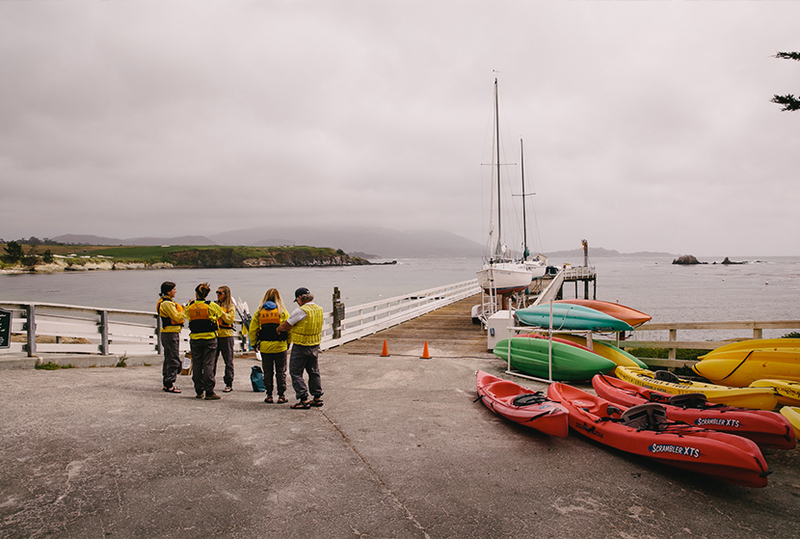 After a quick lunch, we drove north to Pebble Beach to get suited up for some sea kayaking. From horseback to kayak all in one day was pretty amazing. I won’t lie, on the drive over to Pebble Beach I fell asleep. The fresh air, sun, and cool crisp air can was my perfect nap weather. 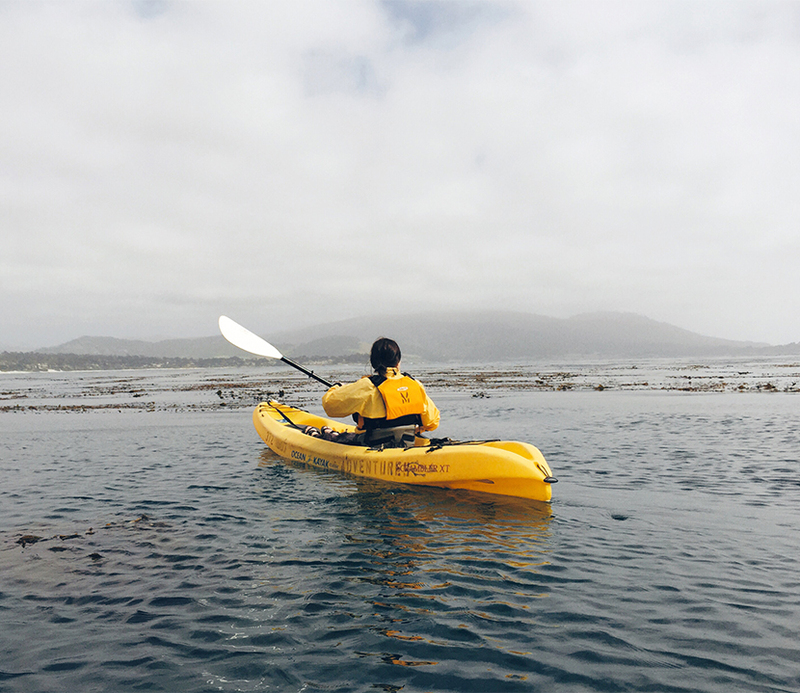 When we arrived at the shore, we suited up in full waterproof gear for kayaking. Our instructor John, and I connected right away. He reminded me of my dad, and was from Michigan. He said he came out one day and just never went home. Honestly, I understood that sentiment. He loved being in the ocean and had amazing stories about sea otters, sea lion pups, and even kelp. We paddled from one side of the bay to another. 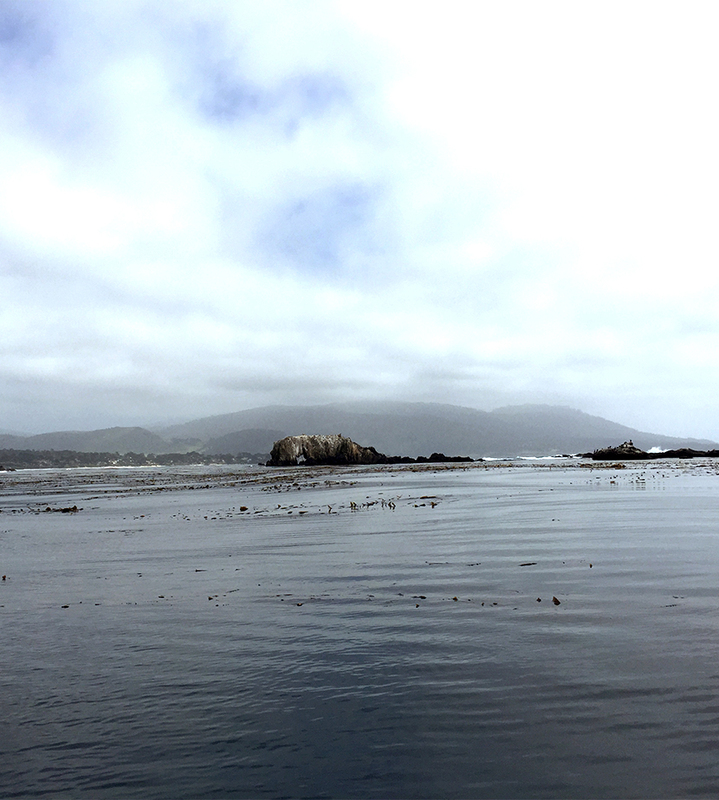 Along the way we stopped to learn about the ecosystem of the ocean, we touched the kelp, we watched otters cracking shells on their chest (which is beyond cute), we saw a whale spout, and some sea lion pups followed alongside us. Growing up on Lake Michigan, the ocean is a life and world I never experienced. I was never fearful to jump in the lake, but there is a different feeling when you are on the ocean. There is a bit more danger than what I am used to in Michigan. The day we went out, the weather wasn’t even great weather and we saw so many beautiful and amazing things. It was totally different to be paddling out in the middle of this ecosystem and to see the life that lies beneath. It made me love the ocean and cherish it more than I ever have before. 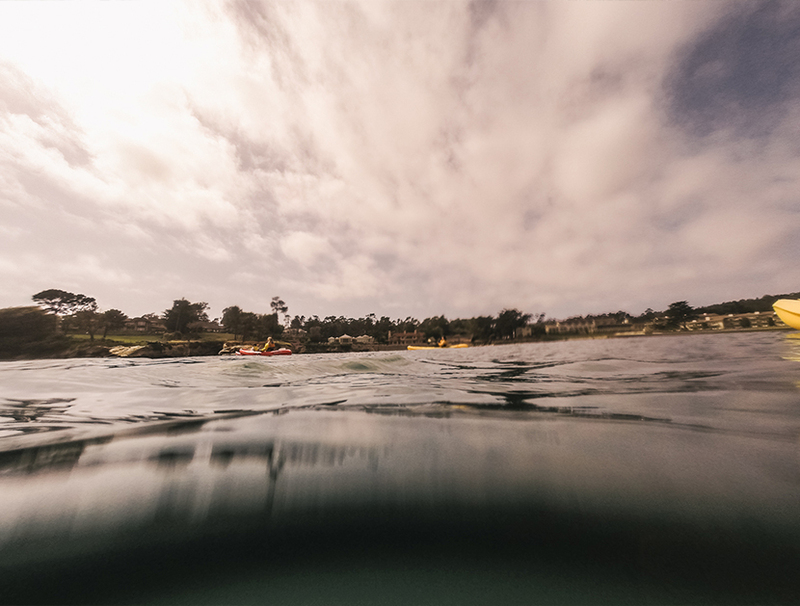 As we were paddling back to shore, Mike was followed by a seal that curiously kept popping up around his kayak then darting away as soon as he moved his camera up to get a shot. It was really funny, and unfortunately he never did get a photo of that little guy. When we arriving back on shore, we headed back to the hotel to dry off, grab warm clothes, and meet for an amazing dinner at Pfeiffer State Park. 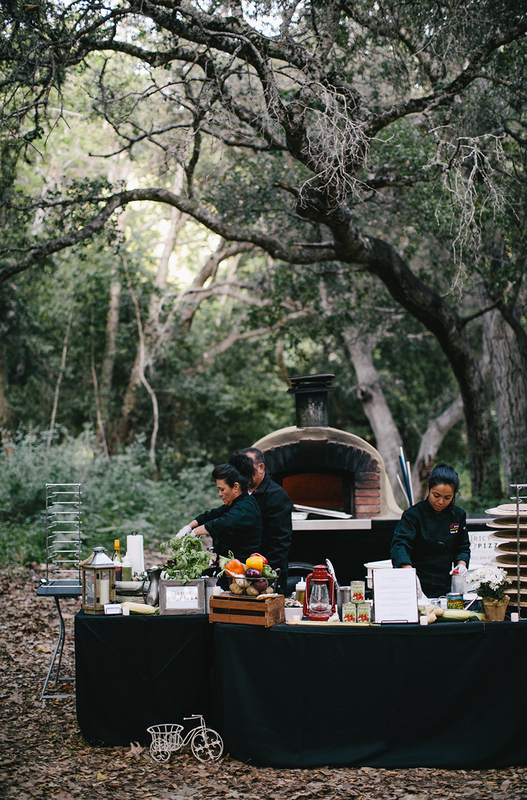 The Bota Box team had dreamt up the perfect laid back classy dinner experience with brick oven pizzas being served with edible flowers and more. 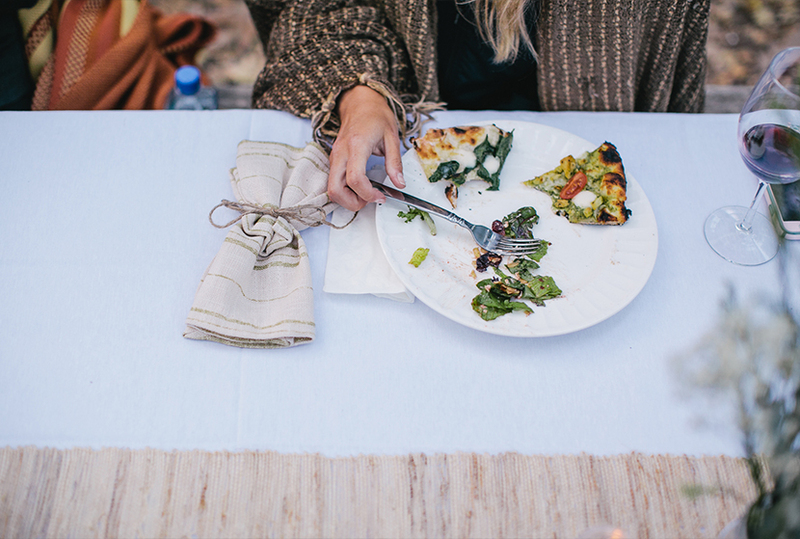 As the sun set in the park, the light streamed through the trees and across our table. 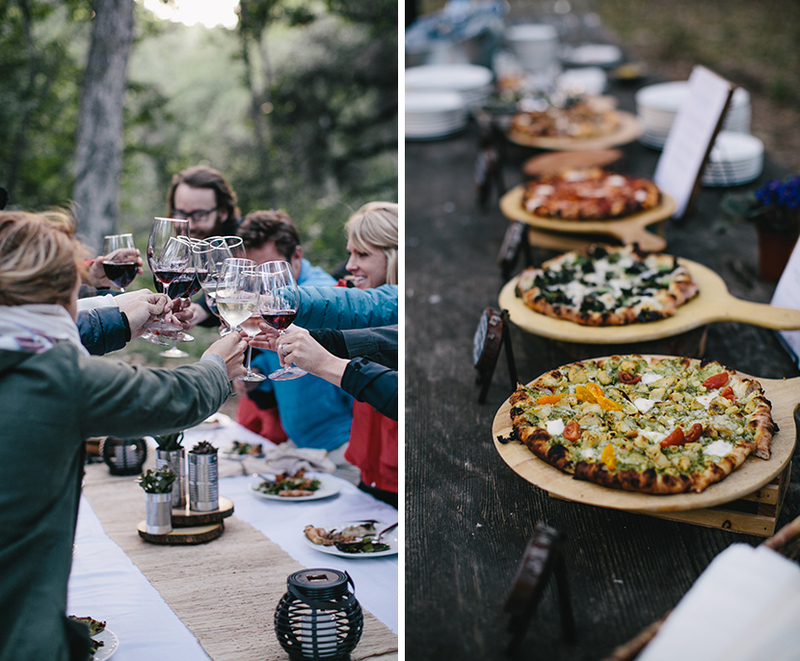 It was the perfect setting to try a lot of wine, enjoy some wood fired pizza and recount our favorite stories from the horse guide. We ended the night with a cheers to a great few day of adventure and new friends. 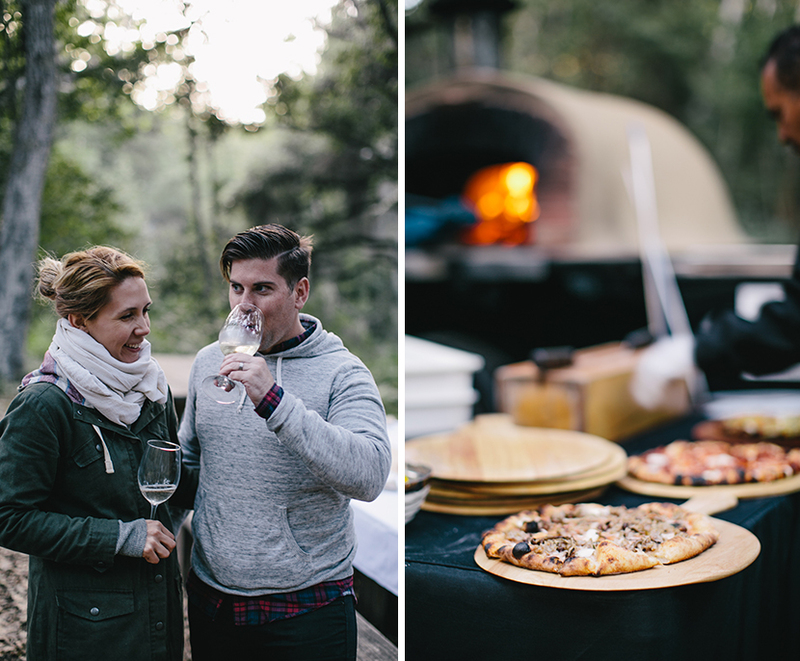 It was truly the perfect way to end a fun filled day and to open into the second half of our journey through Big Sur. 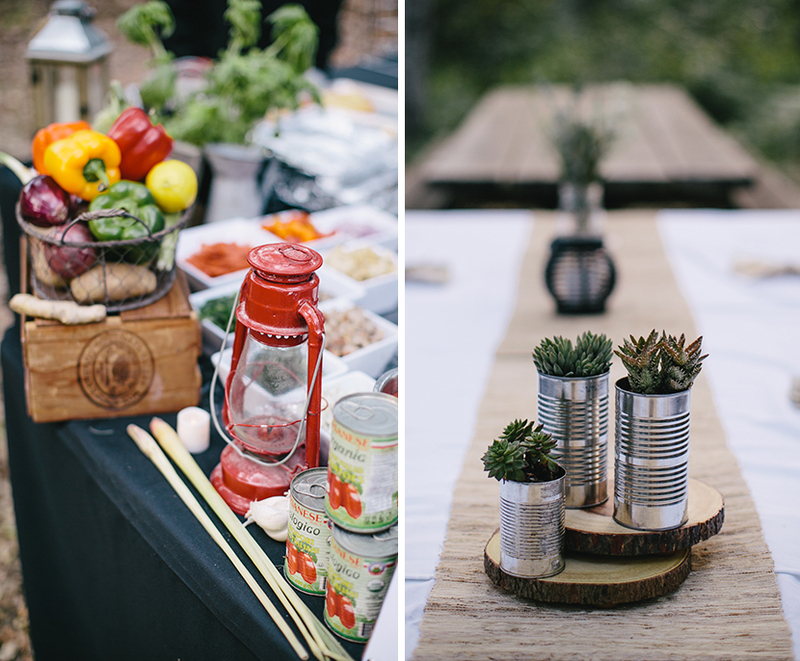 Don’t miss the video that gives a peak into our time out with Bota Box. It was so fun to capture this while adventuring. A big thanks to Bota Box for sponsoring this post and bringing us along to experience the Bota Life. You can follow the Bota lifestyle on their instagram @botabox. All thoughts and opinions are our own.